National museums are often the best way you can get to know a country’s past in one afternoon. With not only one, but three buildings, the Museum of Yugoslavia provides a detailed trip through Yugoslavia’s history and culture. If you happen to find yourself in Belgrade, this thematic museum is a must-visit! The Museum of Yugoslavia was founded in 1996 as a replacement for two previous institutions: the “Josip Broz Tito” Memorial Center and the Museum of the Revolution of Yugoslav Peoples. 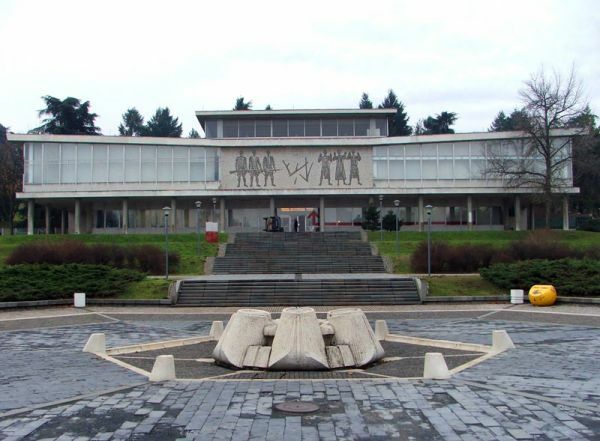 What’s interesting is that the Museum of Yugoslavia is one of the most popular tourist spots in Belgrade. It makes sense, since this is a perfect destination for those curious about the Yugoslavia period and Tito’s presidency. The Museum claims that its mission is to provide objective facts and try to show “both sides of the coin” when it comes to this once magnificent country. The Museum of Yugoslavia consists of three buildings: 25th May Museum, House of Flowers and the Old Museum. All three are worth visiting since they all hold various exhibitions throughout the year, as well as screenings of documentaries and different lectures. Also, each will teach you about a portion of Yugoslavia’s culture. Today, over 17 million people have seen the exhibitions and tens of thousands of people come to visit each year. Namely, it is especially interesting to Yugonostalgics. Yugonostalgia is a psychological and cultural phenomenon of nostalgic emotional attachment to idealized desirable aspects of the SFRY and what Yugoslavia once was. It’s typical for this region and you will hear many people call themselves Yugonostagics. Therefore, many of them enjoy visiting this museum and reminiscing about the past times. The 25th May Museum building was actually given to Tito as a 70th birthday present by the city of Belgrade. It was projected by architect Mihailo Mika Janković. You will notice that this is one of the examples of modern architecture in Belgrade. Today, the 25th May Museum is the entrance to the museum complex. Its most significant part is the large showroom on the first floor. In the past it was usually reserved for young people and their conversations with artists. Today, it’s various in content now. Besides the Federal Executive Council building, this is one of few truly Yugoslav buildings. That means that all republics had a role in its decoration. The Slovenes gave suggestions when it came to windows and Venetian blinds, the slabs in front of it are made of Brač stone from Croatia etc. Another important part of the complex is the park surrounding it. It contains many sculptures and statues which were once in Tito’s residence, all made by famous Yugoslav artists. The House of Flowers may be the most famous building out of all three. It was built as a winter garden for Josip Broz Tito. Now, it’s known as the location of his mausoleum. 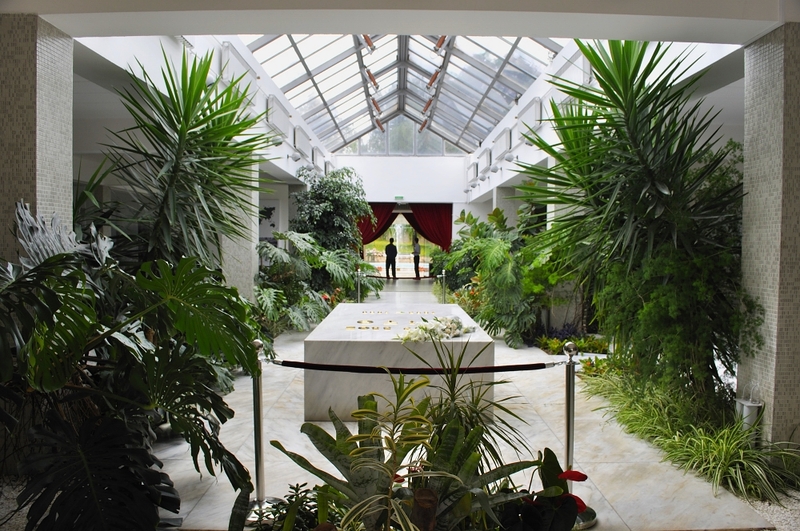 He himself explicitly requested to be buried in the House of Flowers. Tito’s funeral was one the biggest state funerals in history. Representatives coming from 127 different countries and 700,000 civilians attended the funeral. This part of the Museum had one of the most authentic exhibitions about Yugoslavia – a collection of over 22000 Relays of Youth. If you’re a bit of a Yugoslavia enthusiast, you probably know what a Relay of Youth is. If not, here’s a quick rundown. Every year, a relay race was held in SFRY in honor of Tito’s birthday. The race would usually start in Tito’s birth town Kumrovec and it would go through all major towns and cities in Yugoslavia. Finally, it would arrive in Belgrade on May 25th, which was a national holiday called Day of Youth, as well as the day when Tito’s birthday was celebrated. Additionally, each relay carried a baton with a birthday pledge to Tito. The race would end with Broz preparing a formal welcome for the racers in front of his presidential residence and later, on the JNA Stadium. The Relay of Youth was a symbol of brotherhood and unity, as well as a symbol of loyalty to Tito. The mausoleum is open for visit and every year on May 25th, people from the entire former Yugoslavia come to Belgrade to pay their respects. P.S. If you decide to go yourself, remember to also check out the balcony with the amazing view of Belgrade! Finally, the Old Museum is the place where you can see many gifts that Tito received from leaders around the world and Yugoslavia as well. Therefore, the exhibition is split into two sections: gifts Tito got from foreign delegations, appropriately called “Trip around the world”, and gifts from the Yugoslav territory. One of the most impressive presents is definitely the rock from the Moon, which Tito got when the crew of the Apollo 11 came to Belgrade in 1969. There was also a separate exhibition dedicated to the gifts Tito got from royal families around the world. The presents include jewelry, cigar cases, golden cups, a fragment from the wall of the Angkor Thom temple in Cambodia etc. An interesting present that was not displayed was a pair of parrots Queen Elizabeth II gave to the Yugoslav president, along with the instructions about how he should take care of them. However, the story behind the gift is explained as part of the exhibition. Even though over 40 museums in Belgrade are open for public, the Museum of Yugoslavia is the most visited one. The complex doesn’t fail to draw people to this former country and its culture. 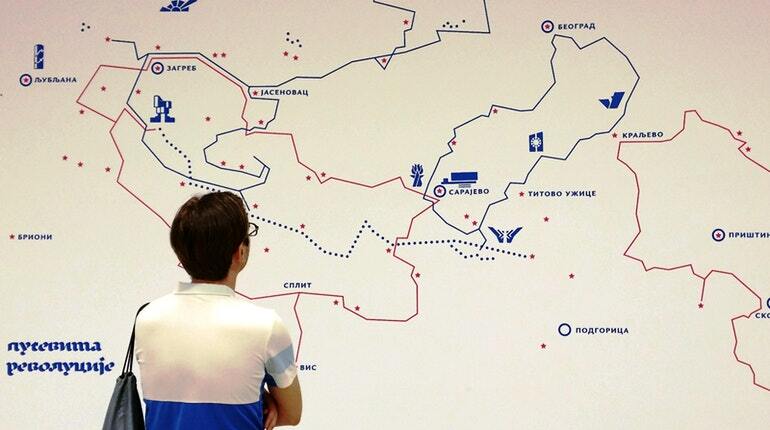 The former residents of the SFRY, as well as foreigners, still visit the Museum of Yugoslavia on a regular basis. With over 75000 items, it is rich in content and exciting to see. From displayed photographs to weapons and paintings, it’s guaranteed you’ll leave the property with a more clear image of the former Yugoslavia. If you want to find out as much as possible, schedule a guided tour and allow a professional to walk you through the exhibitions!